I just the love the Fall. 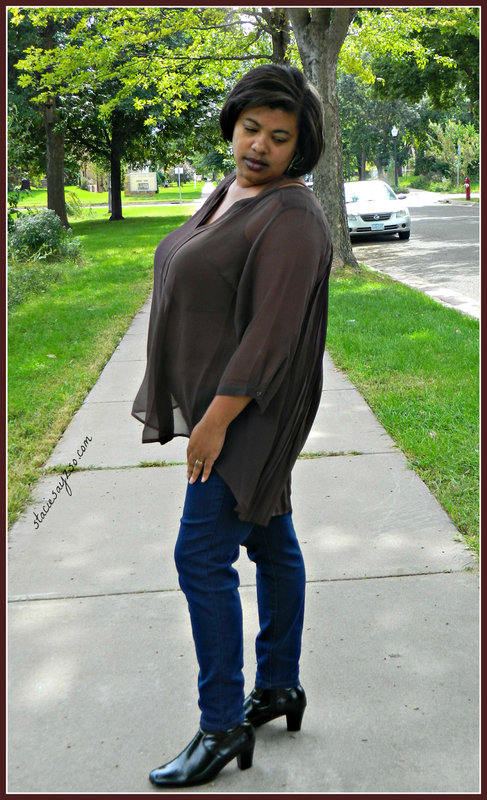 You can rock your cute tops, jeggings, and boots. This season, I've been seeing a lot of blouses around. Most are button up, but this one I purchased from Lane Bryant isn't and provides room for ladies with an ample bosom. 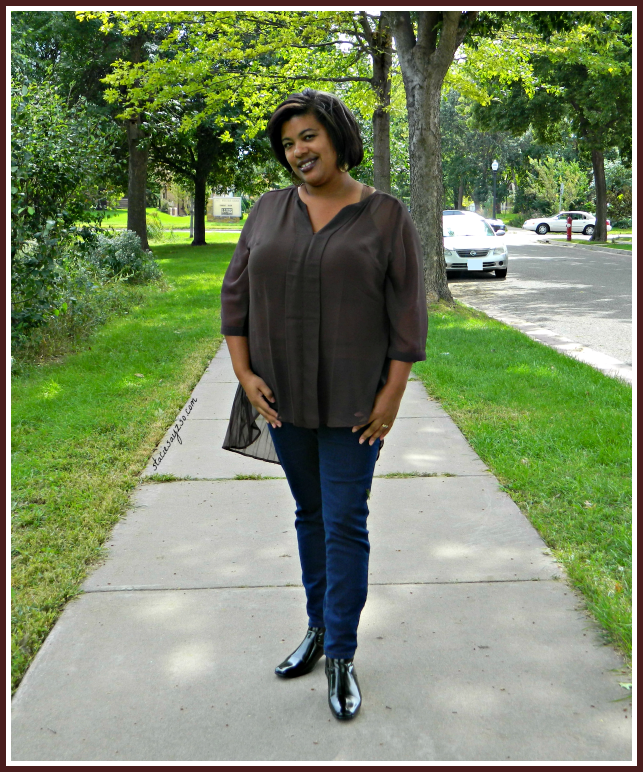 I love the high-low look of this blouse! Pleats in the back? Yass! 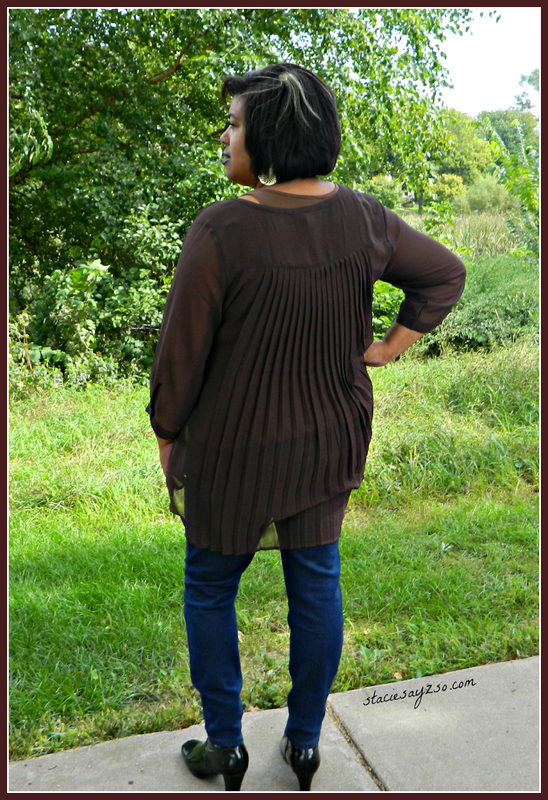 Pleated back blouse - Lane Bryant $10 on sale WOOT WOOT! Cute outfit! I love the back of your shirt and $10 is a steal. Thank you! It was a steal. I really only paid around $6 because I had a left over gift card. Woot-woot! Thanks sis! I usually don't wear pleats but this look great on. Aw, you're so sweet! The pleats are the bomb aren't they! Beautiful top! Thanks for linking up! Why, thank you sis! Thanks for the invite.